The smell of Christmas is in the air! Coffee shop and clothing stores are blasting the Christmas classics, lights and wreaths are going up around the city, and even the CN Tower's got its red and green on! Everything is so happy and festive and shiny and lovely! With all the sparkle and shine of all-things Christmas, I just had to put together a holiday must-have list. If you're planning to attend glamourous parties this holiday you better get ready to out shine that Christmas tree... (literally) as this season's biggest trend is sequin. There's the sequin dress for the bold, and the sequin blazer and mini skirt for those who are interested in dressing the sparkle down for everyday wear. Now, let me just say one thing before we go any further. There are a lot of things in the sequin category and a lot of them are heinous. Stores like Limité, Le Chateau, and Ardene have been showing sequins since the dawn of time. They have no idea what they are doing. So, if you find yourself being drawn to the glittery storefront like a moth to a flame, snap out of it and run the other way because you will be burnt. badly. by people like me. Also, there is a difference between sequins and glitter. Somehow people are unaware of this (*rolls eyes*). Sequins are beads (3D). Glitter is flat and looks like grains of sparkly salt. 1 - Remember what dresses are actually IN STYLE before blindly purchasing one. This season is about shifts and long form-fitting sheaths. One-shoulder dresses and cut-out dresses are also popular but I don' know how long they'll be in style. One-shouldered clothing so in and out of style almost every season. If you can find one, tailed dresses are NEXT LEVEL. The only one I managed to find was on Nastygal sometime in October. It's gone now ... and I'm a little depressed. 2. 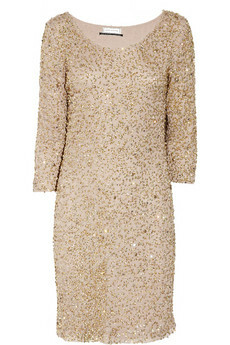 If you are not the fittest of people, please do not wear a sequin dress. I have nothing against natural bodies (they are beautiful and natural and should stay that way. 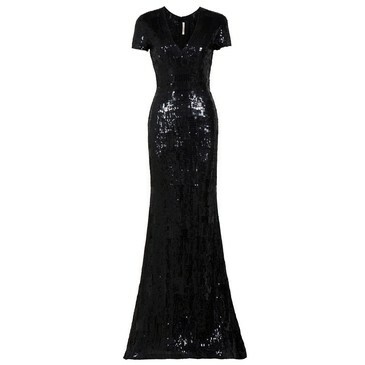 Being skinny is getting old anyway) it is just that sequin dresses are more often than not super tight, clingy, and bulky. If you are not lean, the dress will only clingy to your core flaws and ride up your bum. Also, the bulkiness of the millions of little disk-shaped beads makes anyone look a size bigger then they actually are. Not exactly flattering. 3. Sequin shoes make me want to kill myself. Flats especially. Aldo and Steve Madden are showing sequin detailed heels that are beyond tacky. You're not 6-years-old anymore, and you're most definitely not Dorothy from the Wizard of Oz so please leave the fish scale-esque footwear to those who are. 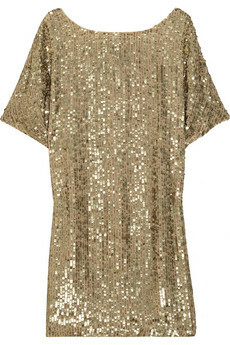 With that said, I do love Jeffrey Campbell... so I do have a soft-spot for his sequin booties. BUT THOSE ARE MY ONLY EXCEPTION. Keep in mind the difference between sequins and glitter. Glitter heels are acceptable. 4. 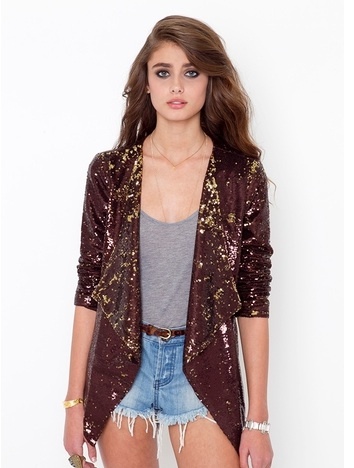 If you're going for the sequin jacket do not buy a cropped one. They are hideous. Also, be smart and get yourself a black one in a tux cut. The androgynous suit jackets are really important, not only this season but for spring as well. 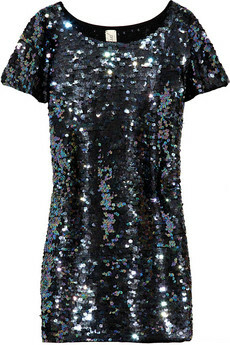 i just love sequins, those items are all awesome, especially the jeffrey campbells!